Draft: 2011, San Diego Padres, 3rd rd. Married to Jill…has a son, Tate...His younger brother, David, played parts of 2 seasons (2014-15) as a first baseman in the Pirates' system…the 2 were teammates at East Valley High School and UC-Riverside…David is now an emergency room registered nurse in Loma Linda, Calif. 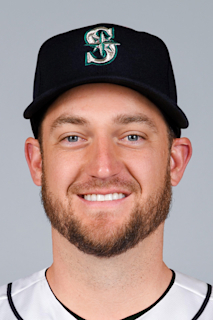 Combined to go 3-7 with a 5.26 ERA (46 ER in 78.2 IP) in a career-high 41 appearances with the D-backs and Rays… also averaged a career-best 8.92 strikeouts per 9.0 innings...Threw 2.0+ innings 20 times, tied for the sixth most in the Majors (also: Steven Brault/PIT)... Made 4 starts with Tampa Bay as the "opener" and posted a 3.18 ERA (4 ER in 11.1 IP) with a .171 opponent average…also started for Arizona on Sept. 18 vs. Cubs (L, 5 ER in 2.0 IP)...Was 0-3 with a 9.00 ERA (19 ER in 19.0 IP) in 14 games with Arizona...Acquired from Rays on July 25 for C Michael Pérez and RHP Brian Shaffer. Started 17 games and made one relief app in his third major league season…began the year as the No. 5 starter, his second time making the Opening Day roster (2015)…sustained two trips to the disabled list due to a right hip injury, which sidelined him for a total of 76 games....Began the season 5-1 with a 3.24 ERA (58.1-IP, 21-ER) over his first 10 starts through May 25… exited with the lead in 9 of those 10 starts, and the bullpen cost him a win on April 13 at NYY, April 23 vs. HOU and May 9 vs. KC.... On May 30 at TEX, exited after 1.2 IP due to a right groin strain and was placed on the 10-day DL…reinstated for the second game of a doubleheader on June 10 vs. OAK, and was removed after making warmup pitches in the 2nd inning…later diagnosed with a stress reaction in his right hip, and spent the next 66 games on the disabled list until he was activated on Aug 28.... From May 30 through season's end, he went 0-4 with a 7.16 ERA (27.2-IP, 22-ER) and 1 save in 8 apps (7 starts)...Went 4-0 with a 3.55 ERA (45.2-IP, 18-ER) in 9 starts at home…went 1-5 with a 5.58 ERA (40.1-IP, 25-ER) in 9 apps (8 starts) on the road… has not lost at home since Sep 5, 2016 vs. BAL… only one other pitcher in Rays history finished a season unbeaten at home with at least 9 starts there: Alex Cobb in 2013 (7-0 over 13 home starts)…received 7.88 R/9 IP in run support (45.2- IP, 40-RS) at home, but only 2.17 R/9 IP (37.1-IP, 9-RS) in 8 starts on the road, including one run or fewer in 6 of those 8 starts.... Yielded 16 HR in 86 IP, and his 1.67 HR/9 IP ratio would have been 6th-highest in the majors if he posted enough innings to qualify…home runs accounted for 22 of his 48 runs allowed…since the 2016 All-Star break, has allowed 31 HR in 148.2 IP (1.88 HR/9 IP).... On May 20 vs. NYY, earned a 9-5 win over Masahiro Tanaka, but received his first career ejection after plunking Aaron Judge on the first pitch of the 6th inning…yielded home runs to Judge and Gary Sánchez earlier in the game....On Aug 28 at KC, was reinstated from the 60-day DL and went 3 IP in relief in a 12-0 win, earning a save and combining on a 2-hit shutout with Austin Pruitt…has thrown 3 IP or more in all 4 career saves, a club record…it was the second time in club history a save was recorded in a winning margin of 12-plus runs, joining Dale Thayer on May 22, 2009 at FLA (15-2)…became the third Ray with a save on his birthday, following Troy Percival in 2008 and Albie Lopez in 1999…became the fifth pitcher since the save became official (1969) with a 3-IP save on his birthday: Lopez in 1999, MTL Chuck Taylor in 1974, KC Bruce Dal Canton in 1972 and ATL Hoyt Wilhelm in 1970.... On Sep 9 at BOS, yielded a career-high 8 runs over 1.2 IP, the shortest start of his career (excluding injury-shortened starts)…he was the first Ray to allow 8 runs (or more) in a start of less than 2 IP since Jae Weong Seo on Sep 25, 2006 vs. NYY. Recalled from Triple-A Durham on May 8 and spent the rest of the season in the majors, making 29 apps (19 starts)…joined the rotation after the call up, and shifted to the bullpen in June when LH Blake Snell was promoted despite leading the Rays rotation over that span with 5 wins, 44.2 IP and a 2.82 ERA (44.2-IP, 14-ER) over 7 starts…rejoined the rotation after the Aug 1 trade of LH Matt Moore, making 11 starts down the stretch and going 2-6 with a 6.47 ERA (55.2-IP, 40-ER). Began the season 6-0, the fifth Ray to start a season at 6-0 or better, joining LH Matt Moore (8-0 in 2013), RH Jeff Niemann (6-0 in 2010), LH J.P. Howell (6-0 in 2008) and RH James Shields (6-0 in 2007)…was one of eight pitchers to start the 2016 season 6-0 or better. After the 6-game winning streak, he lost his next 7 decisions from June 25-Sep 5, spanning 15 apps and 8 starts…had a 6.11 ERA (56-IP, 38-ER) over that stretch…became the second player in club history with winning streaks and losing streaks of at least 6 games within the same season, following Chris Archer in 2015. On May 14 vs. OAK-his second start of the season and 10th of his career-recorded his first professional complete-game shutout, a 2-hitter…the only hits were singles by Matt McBride (3rd inning) and Danny Valencia (7th)…became the fourth different Rays pitcher to throw a shutout on 2 H (or fewer) and 0 BB, joining James Shields (Sep 9, 2012 vs. TEX and May 9, 2008 vs. LAA), Chris Archer (July 27, 2013 at NYY) and Drew Smyly (Aug 22, 2014 at TOR). Went 7-7 as a starter with a 4.80 ERA (105-IP, 56-ER)…as a reliever, was 1-1 with a 2.38 ERA (22.2-IP, 6-ER) with 1 save (July 19 at COL)…all 3 saves in his career have been 3 IP or longer, most in club history…worked at least 2 innings in 7 of his 10 relief apps. Before the All-Star break, yielded only 2 HR in 65 IP (0.28 HR/9 IP) in 15 apps (8 starts)…after the break, allowed 15 HR in 62.2 IP (2.15 HR/9 IP) in 14 apps (11 starts). His 1.76 BB/9 IP ratio for the season was the lowest by a Ray (min. 100 IP) since David Price in 2014 (1.21)…finished the season with 7 consecutive starts allowing 1 BB or fewer, beginning Aug 24, the longest streak by a Rays pitcher within a single season since David Price in 2014 (10)…his 6 starts without a walk tied Jake Odorizzi for the team lead. Made his season debut on Mother's Day, May 8 at LAA, with his mother, Lynn, watching him for the first time in the big leagues…earned a 3-1 victory, the lone run a 1st-inning Albert Pujols sac fly…his line: W, 7 IP, 4 H, 1 R, 3 BB, 3 SO. In May, went 3-0 with a 2.36 ERA (34.1-IP, 9-ER). Was 0-4 in August with a 7.76 ERA (29-IP,25-ER) in 6 starts while opponents hit .323/.348/.606 (41-for-127)…was the highest ERA by a Ray in any calendar month (min. 25 IP) since Edwin Jackson in Sep 2008 (7.90)…his 4 losses were tied for 2nd in the AL to CLE Josh Tomlin (5)…his 9 HR allowed tied for 3rd most in the majors, and his 7.76 ERA was 4th highest in the AL. Led the American League with 4 balks, which also set a club record (prev. 3, most recent-ly David Price in 2010)…two of those came May 30 at KC, when he became the first in Rays history to balk twice in a game. Went 4-2 with a 2.72 ERA (39.2-IP, 12-ER) in 8 apps (5 starts) against AL West opponents…against Oakland, totaled 11 IP, 2 H, 0 R, 0 BB, 7 SO. At the time of his May 8 recall from Durham, his 44 SO ranked 4th among minor league pitchers…also ranked among International League leaders in SO (2nd), IP (34.1, 5th), SO/9 IP (11.5, 2nd) and SO/BB (6.3, 2nd)…had his first career CG on April 23 at Norfolk (Orioles), a 1-0 loss in 7 innings…had a career-high 14 SO in his last start there, May 3 at Indianapolis (Pirates), over 7 scoreless innings…the 14 SO tied the record for an opposing pitcher in the 20-year history of Victory Field, joining Rick Helling for Oklahoma City on July 11, 1996. Made the Opening Day roster and appeared in 25 games (8 starts) over five stints with the Rays, his first major league action…spent the rest of the season with Triple-A Durham, where he posted a 2.35 ERA...Pitched to a 3.11 ERA (46.1-IP, 16-ER) over his four major league stints before the All-Star break…after he was recalled Aug 19, made only 1 start in his 13 outings through season's end… had a 6.52 ERA (19.1-IP, 14-ER) during his final stint, but his final 4 relief apps were scoreless...Went 2-2 with a 3.57 ERA (35.1-IP, 14-ER) in his 8 starts, compared to 1-3, 4.75 (30.1-IP, 16- ER) in 17 relief apps…lasted 5 IP in only 3 of his starts…allowed 2 runs or fewer in 6 of 8 starts, and yielded 1 walk or fewer in 6 of 8 starts...Made his major league debut April 10 at MIA, throwing a scoreless 6th inning in a 10-9, 10- inning loss…first career start came April 14 at TOR…left the game in the 4th holding a 2-1 lead, but was charged with a second run after Kirby Yates allowed an inherited runner to score...Was one of six major league pitchers with at least 2 starts and 2 saves in 2015, and one of two rookies along with teammate Steve Geltz…his 2 saves of 3 IP or more tied the club record, joining Lance Carter (2002) and Travis Phelps (2001)…his first career save came April 24 vs. TOR, tossing 3 IP in the 12-3 victory...On May 14 vs. NYY, recorded a 4-inning save in a 6-1 win, tying for the longest outing in a save in club history (fourth time, first since Wilson Alvarez on Aug 10, 2002 at KC)…it was the Rays first-ever 4-inning save at Tropicana Field...His best stretch came in June, when he went 3-1 with a 1.71 ERA (21-IP, 4-ER) in 4 games, 3 starts…yielded 0 ER in 3 of those 4 outings… earned his first major league win on June 12 vs. CWS, when he beat John Danks, totaling 5.2 IP, 6 H, 2 R, 0 ER, 1 BB, 5 SO…had his best start of the season June 27 vs. BOS, in a 4-1 victory over Wade Miley…allowed 1 base runner (4th-inning single by Xander Bogaerts) over a career-high 6 scoreless innings (5-SO, 0-BB)…was optioned after the game to make room for Matt Moore in the rotation...Was on the mound for two walk-off losses…on Sep 2 at BAL, yielded a 458-foot (per MLB Statcast) walk-off 11th-inning homer to Chris Davis…on Aug 19 at HOU, allowed a walk-off single to Carlos Correa in 13th inning...Won the Al Lopez Award as Rays most outstanding rookie in spring, the first pitcher to win the award since Jeff Niemann in 2009…went 1-1 with a 2.21 ERA in 7 apps (5 starts), totaling 20.1 IP, 22 H, 10 R, 5 ER, 0 HR, 8 BB, 15 SO…ranked 10th in the Grapefruit League with a 2.21 ERA. Spent the entire season with Triple-A Durham and was selected to the 40-man roster on Nov 20...made 25 starts and led the Bulls with 11 wins...threw a career-high 162.1 IP...Through July 17, went 11-3 with a 3.19 ERA (115.2-IP, 41-ER) in 20 games, 18 starts...afterthat, went 0-4 with a 5.21 ERA (46.2-IP, 27-ER) in 8 games, 7 starts...Ranked 2nd in the Rays system with 129 SO, trailing Durham teammate Nathan Karns (153)...also ranked 2nd with 11 wins, trailing Victor Mateo (12)...among International League pitchers, ranked 4th in SO, 3rd in IP (162.1), tied for 2nd in HR allowed (18) and 4th in WHIP (1.24)...Won both his starts in the IL playoffs, Sep 5 vs. Columbus (Indians) and Sep 11 vs. Pawtucket (Red Sox)...totaled 11 IP, 8 H, 4 R/ER, 2 BB, 16 SO...Made 2 scoreless relief apps at his first major league spring training...entered the year rated by MLB.com as the Rays No. 18 prospect. Began the season with Double-A San Antonio (Padres) and was named to the Texas League midseason All-Star Team before earning a promotion to Triple-A Tucson…combined to go 11-7 with a 3.27 ERA (134.2-IP, 49-ER) and 105 strikeouts against 29 walks over 27 apps (25 starts)…went 8-2 with San Antonio, compiling a 2.37 ERA (76-IP, 20-ER)…appeared in 12 games (10 starts) with Tucson with a 4.45 ERA (58.2-IP, 29-ER)…ranked among Padres minor league leaders in ERA (3.27, 5th), wins (11, 2nd) and strikeouts (105, 5th). Spent his first full season with Class-A Lake Elsinore (Padres) and led all qualifying pitchers in the California League with a 3.53 ERA (146-IP, 58-ER) over 27 apps (26 starts)…ranked T-3rd in the CL in WHIP (1.22), T-4th in wins (10), 9th in IP (146) and 5th in SO (131)…named a California League postseason All-Star and an Organizational All-Star by MiLB.com…finished 6th in the Padres organization in ERA…tied for the organizational lead in wins and ranked 2nd in strikeouts. Named the No. 6 prospect in the Northwest League by Baseball America following his first professional season…pitched in 12 games (8 starts) for Short-A Eugene (Padres)…finished tied for the lead on the staff in wins (5) and led the staff with a 1.51 ERA (min. 40 IP). September 4, 2018 Arizona Diamondbacks recalled RHP Matt Andriese from Visalia Rawhide. August 28, 2018 Arizona Diamondbacks optioned RHP Matt Andriese to Visalia Rawhide. July 26, 2018 Matt Andriese roster status changed by Arizona Diamondbacks. July 25, 2018 Tampa Bay Rays traded RHP Matt Andriese to Arizona Diamondbacks for C Michael Perez and RHP Brian Shaffer. August 28, 2017 Tampa Bay Rays activated RHP Matt Andriese from the 60-day disabled list. August 23, 2017 Tampa Bay Rays sent RHP Matt Andriese on a rehab assignment to Durham Bulls. August 13, 2017 Tampa Bay Rays sent RHP Matt Andriese on a rehab assignment to Charlotte Stone Crabs. June 16, 2017 Tampa Bay Rays transferred RHP Matt Andriese from the 10-day disabled list to the 60-day disabled list. Hip stress reaction. June 13, 2017 Tampa Bay Rays placed RHP Matt Andriese on the 10-day disabled list retroactive to June 11, 2017. Hip stress reaction. June 10, 2017 Tampa Bay Rays activated RHP Matt Andriese from the 10-day disabled list. May 31, 2017 Tampa Bay Rays placed RHP Matt Andriese on the 10-day disabled list. Groin strain. May 8, 2016 Tampa Bay Rays recalled RHP Matt Andriese from Durham Bulls. May 7, 2016 Durham Bulls placed RHP Matt Andriese on the reserve list. March 30, 2016 Tampa Bay Rays optioned RHP Matt Andriese to Durham Bulls. August 19, 2015 Tampa Bay Rays recalled Matt Andriese from Durham Bulls. July 8, 2015 Tampa Bay Rays optioned RHP Matt Andriese to Durham Bulls. July 7, 2015 Tampa Bay Rays recalled Matt Andriese from Durham Bulls. June 28, 2015 Tampa Bay Rays optioned RHP Matt Andriese to Durham Bulls. June 12, 2015 Tampa Bay Rays recalled Matt Andriese from Durham Bulls. May 15, 2015 Tampa Bay Rays optioned RHP Matt Andriese to Durham Bulls. May 9, 2015 Tampa Bay Rays recalled Matt Andriese from Durham Bulls. April 30, 2015 Tampa Bay Rays optioned RHP Matt Andriese to Durham Bulls. November 20, 2014 Tampa Bay Rays selected the contract of Matt Andriese from Durham Bulls. March 30, 2014 Durham Bulls activated RHP Matt Andriese. January 22, 2014 San Diego Padres traded 2B Logan Forsythe, RHP Brad Boxberger, Matt Andriese, RHP Matt Lollis and SS Maxx Tissenbaum to Tampa Bay Rays for LHP Alex Torres and RHP Jesse Hahn. January 22, 2014 RHP Matt Andriese roster status changed by Tampa Bay Rays. June 28, 2013 RHP Matt Andriese assigned to Tucson Padres from San Antonio Missions. April 3, 2013 Matt Andriese assigned to San Antonio Missions from Lake Elsinore Storm. April 5, 2012 Matt Andriese assigned to Lake Elsinore Storm from Eugene Emeralds. April 4, 2012 Matt Andriese assigned to San Diego Padres. June 16, 2011 Matt Andriese assigned to Eugene Emeralds from San Diego Padres. June 15, 2011 San Diego Padres signed RHP Matt Andriese.